…find and celebrate your people! You are part of a community of awe-inspiring individuals using the Seven Levels to create remarkable change in the world. For years, we’ve been itching for an opportunity to get all of you in one room to enjoy the synchronicity that awaits! We’re thrilled to finally be facilitating this coming-together in July 2019. “Convening the Collective” will be a rich, organic and co-creative event, designed to bring forth thought-provoking conversations, expansive learning opportunities, and plenty of “aha” moments. Set against the backdrop of Georgia O’Keefe’s spiritual home, Ghost Ranch Education and Retreat Center in Abiquiu, New Mexico, this long weekend will be our chance to celebrate the incredible work of our peers, refresh our perspectives on what the Seven Levels can do, and enjoy being with our people! Anyone who has completed at least Module One of Neuroscience, Consciousness and Transformational Coaching (NCTC), Module One of Human Consciousness Architecture (HCA), or the complete Human Relationships Program (i.e. the first module of any of our programs grounded in the Seven Levels) is invited to attend. Play sessions: 1) exciting new work on emotions and prediction with powerful tools for shifting clients and ourselves; 2) working with past, present and future — the role of time integration in consciousness. While we appreciate the power of a great conference, this is not meant to be one. In place of keynote speakers, presentation hierarchies and networking events, we are excited to bring you workshops, discussions and presentations, both organic and facilitated, on topics we believe will move us furthest forward as a collective. We are here to highlight and celebrate the work you’ve been doing, as well as facilitate collaboration opportunities amongst you. You can count on there being plenty of time for thought-provoking conversation, meaty work, and space for synchronicity to occur. 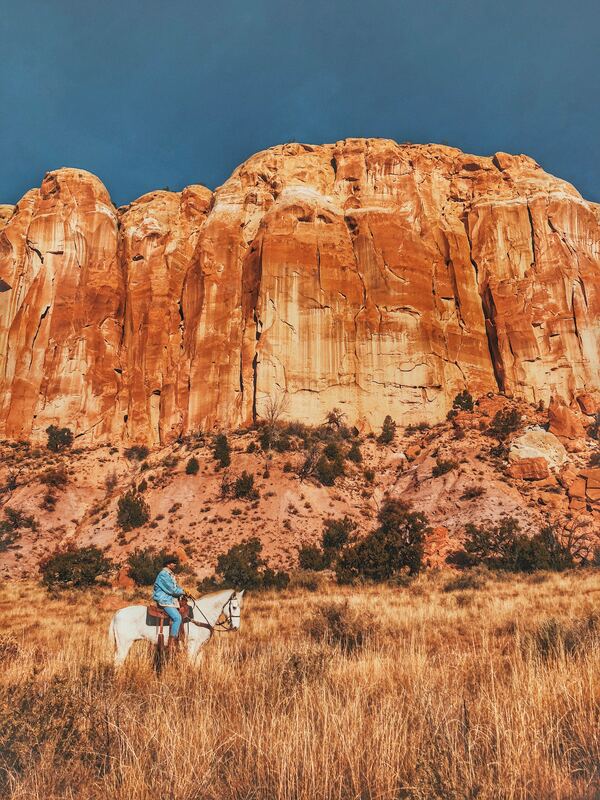 People from all over the world visit Ghost Ranch to paint, write poetry, hike, ride horseback, research globally renowned archaeological and fossil quarries, or simply to rest and renew their spirits. The land encompasses 21,000 acres of towering rock walls, vivid colors and vast skies. Click here for more information on Ghost Ranch. PLEASE NOTE: Our registration fee does not include lodging or food. These you will organize directly with Ghost Ranch. Read the tabs below and follow the instructions to reserve your accommodations. When you’re ready to make your reservation, call 505-685-4333, extension 4156 (Gina) or 4155 (Evelyn) to organize your food and lodging. Ghost Ranch offers rustic accommodations that are reflective of its origins as a working ranch. The rooms are basic – no frills – which allows you to focus on the natural beauty of the land and delve fully into the weekend’s subject matter. 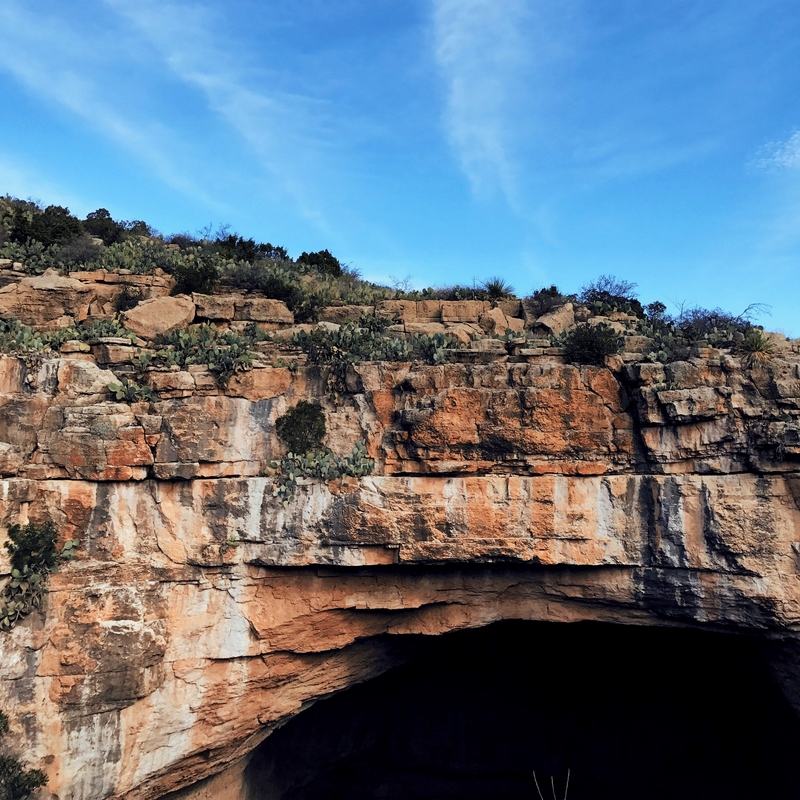 While basic, the rooms are clean and comfortable and offer breathtaking views of the colorful vistas, sandstone cliffs, cottonwoods and distant mountains. PLEASE NOTE: Cell phone service is limited and Wi-Fi access is available only at certain spots around the Ranch. Ghost Ranch suggests you bring a calling card or credit card if you anticipate making long-distance calls. Click here for more info and photos of each option. When you’re ready to make your reservation, call 505-685-4333, extension 4156 (Gina) or 4155 (Evelyn). All meals will be available on-site. Options for food are very limited outside the Ranch and transportation is tricky, so it’s we highly recommend registering to eat all meals in the Ranch’s Dining Hall. A meal plan is available at a cost of $36/day. You can also purchase individual meal tickets at the Dining Hall. You can purchase a meal plan when you book your lodging over the phone. Breakfast | $10 – 7:30-8:30 a.m. Lunch | $12 – noon-1:00 p.m.
Dinner | $14 – 5:30-6:30 p.m.
We’ve chosen to use a tiered pricing model to ensure we have the resources to make this event everything we envision, and to rest easy knowing our initial expenses will be covered. The first 10 registrants are covering our deposits on the incredible event space, for which we are very grateful. Please partner with us to make this gathering a reality! PLEASE NOTE: Our registration fee does not include lodging or food, and is non-refundable and non-transferable. Lodging and food you will organize directly with Ghost Ranch (this ensures you have have the type of accommodation you desire). Click here for more information about lodging and meal options. In order to bring this amazing event to life, we need the help of early registrants (our partners!) to cover initial costs. The first 10 people to register take advantage of our lowest price of $595. Your support allows us to make this event everything we envision. Registrants 11-20 take advantage of our discounted price of $695. We’re thrilled to welcome you to the Collective! All remaining registrants reserve their spot for $745. This community inspires and delights us. Most of you use the ideas and tools of the Seven Levels and neuroscience with your coaching clients. Some of you also use them with family, some of you in schools, some of you in organizations, government and non-profit agencies. ALL of you care about impacting the world through your work — and your being. It’s about time we all got together and celebrated each other. And if, in the process, we learn some cool new stuff and a few ideas emerge that might help this world move forward, then wow. Hope to see you in New Mexico!